You thought Baba Ramdev was the king of promotions and the Patanjali franchise could make anything sell? Unless you've been living under a rock, you must be well aware of the entire controversy surrounding Ranbir Kapoor and that Pakistani actor wearing a "backless white dress, smoking a cigarette" and overall just being completely unsanskaari. Karachi-based Cafe Liquiteria, inspired heavily by Alok Nath (of Hindu traditions fame), recently decided to take matters into their own hands. 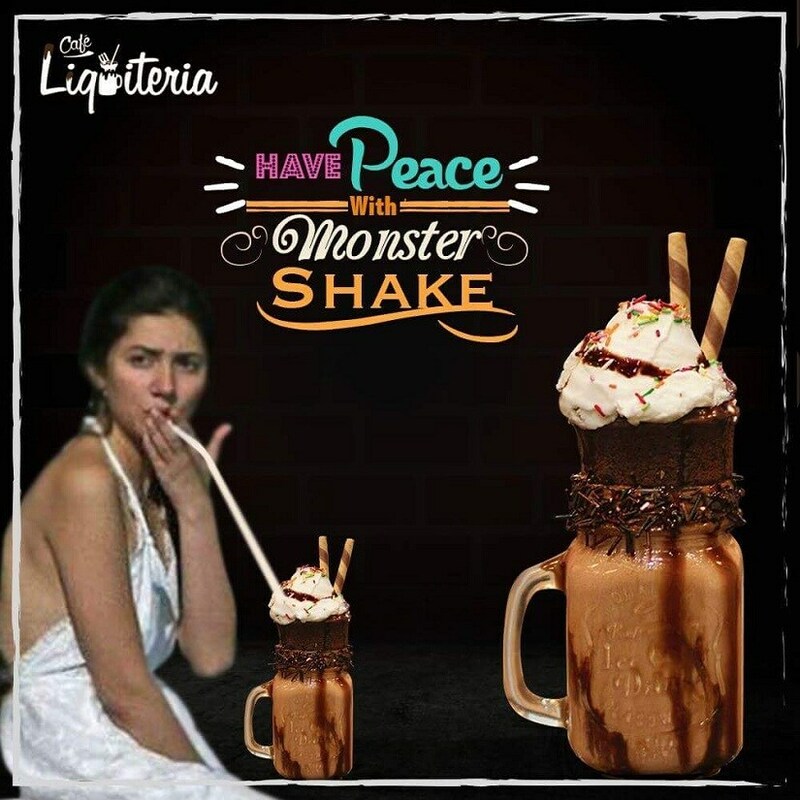 Cafe Liquiteria had the downright genius brainwave of replacing the cigarette that Khan was seen smoking in the original photographs with a much healthier funnier option — The Monster Shake. Unsurprisingly, the cafe's publicity gimmick was met with some severe backlash by the Tweeple, mostly criticising the eating joint (because apparently not all publicity is good publicity). Alas, Cafe Liquiteria is the hero that Mahira Khan deserves, but (probably) not the one she needs right now. Here's the original picture of the notorious Mahira Khan with the innocent-because-he's-a-man Ranbir Kapoor sharing two cancer sticks together.